As Summer approaches, the anticipation for Americas’ Independence Day grows more and more. Nike looks to be celebrating the holiday this year with an Air Max 97. Nowadays time flies and as we’re already in April, the hot summer months are right around the corner. 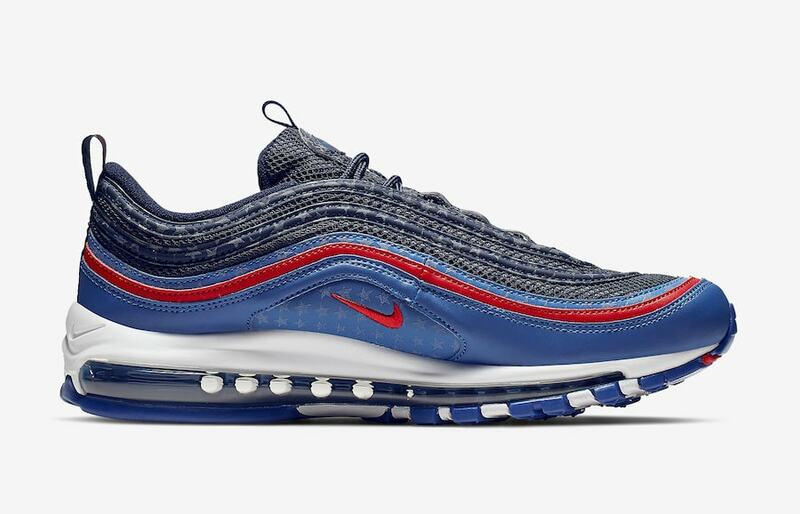 Nike looks to have you covered this year with a salute to America themed Air Max 97. The versatile silhouette takes on America themed colors that will look great while you celebrate the 4th of July. Air Max 97 is one of Nike’s most predominant models to date. The wave overlays allow the shoe to be decked out in different colorways and designs. This time around, the model takes on Game Royal, University Red, and Midnight Navy all at the same time for a festive edition. 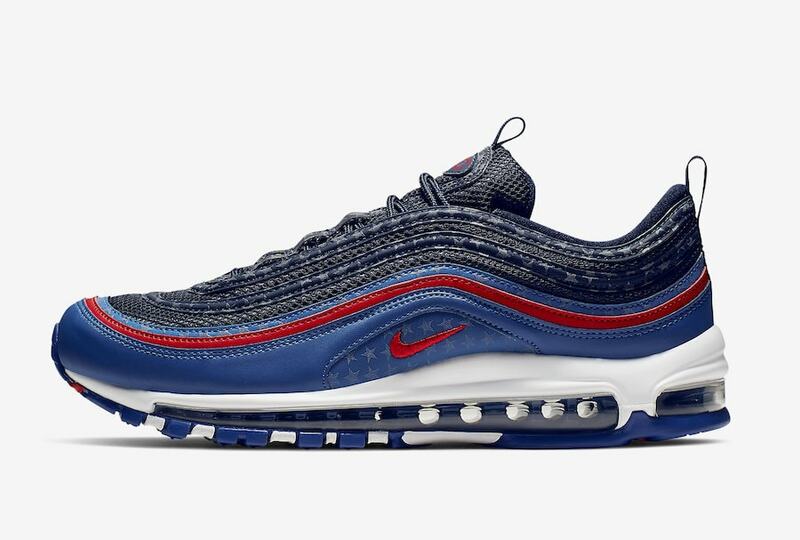 The upper is divided into two portions, as the top half sees Midnight Navy through the tongue, laces and a portion of the shoes’ racing stripes. 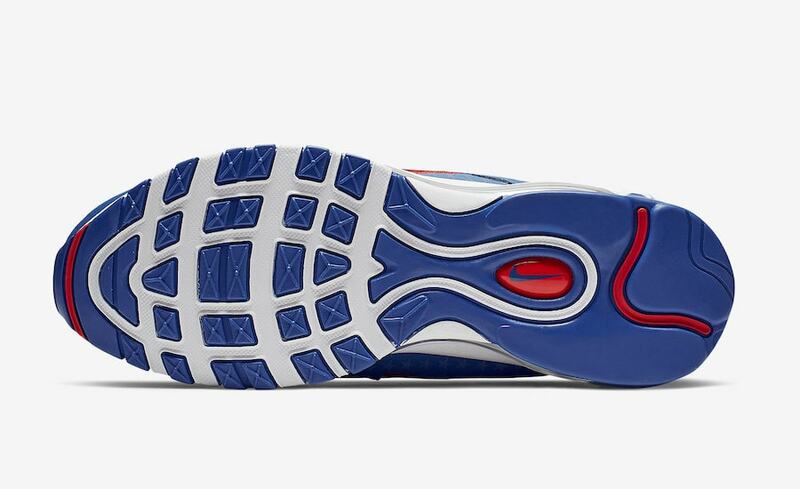 As you head down the wave pattern, it then takes on the Game Royal colorway through the bottom section. University Red is then splashed on aspects of the shoe as a solo red stripe flows around the entire silhouette as well as a red Nike Swoosh is embroidered in on the midfoot. Adding a patriotic flare, white stars are then scattered precisely throughout the upper all while sitting on top of a white midsole. The sneaker is also accessorized with reflecting paneling so as the sun sets and fireworks light up the night, so will you. If you’re looking to pick up a pair the shoes are set to be available later this month on April 18th, 2019. They will be released at select retailers and Nike.com for the retail price of $170. Although they release before 4th of July festivities, Nike has you covered so you’re prepared when the time comes. 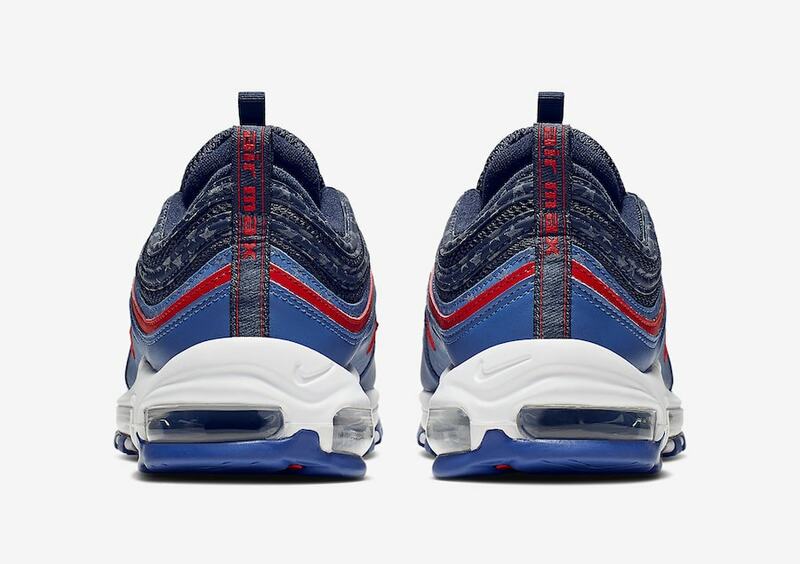 Check out more images below, and stay tuned to JustFreshKicks for more Nike Air Max news. 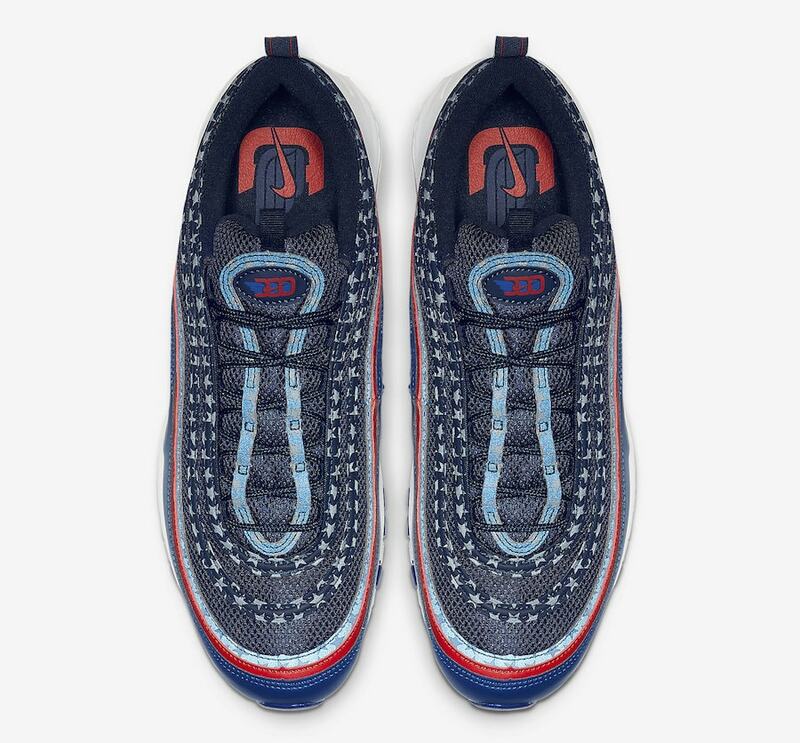 The post Nike Air Max 97 Celebrates America with a USA Themed Colorway appeared first on JustFreshKicks.